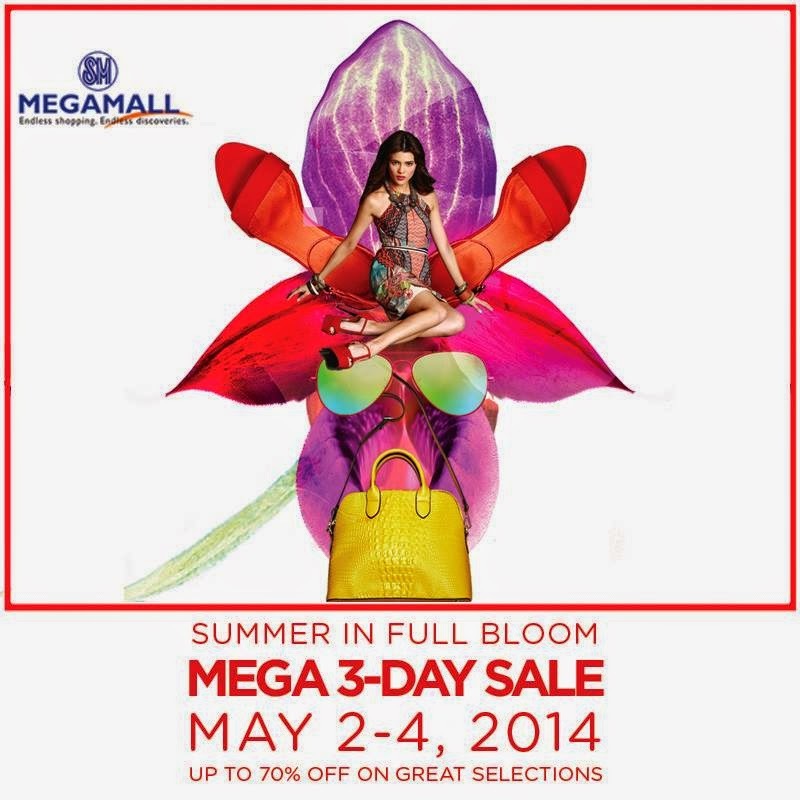 As we head on to the last month of summer, My favorite mall, SM Megamall, is again having a 3 Day Sale next week starting from May 2 up to May 4. Shoppers may avail of up to 70% off from selected items per participating store! And since May 1 is a holiday, they will actually have a kick off Labor Day sale. So be sure to be prepared in bumping into a lot of people if ever you decide to do your last minute shopping for summer outfits on those dates. I am missing this sale event again since I have an out of town family reunion but I do hope that my lovely readers will be able to score great deals. Happy shopping to you all!